Energy never rests. Your best run ever starts with a pair of adidas running trainers, featuring the all the technologies you need. adidas offers a running collection for men and women that focusses on improving your performance while standing out in style with your gym clothes. FORMOTION® follows your natural movements for a better fit and greater comfort in every step of your run. Climachill™ meshlike fabric featured in tops and shorts keeps you cool during your toughest run. 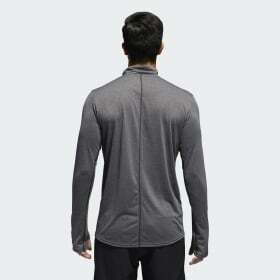 The aluminium-silver dots conduct heat away from the body so you will feel fresh for miles. Bright colours and subtle shades help to combine the running tops, trousers and tracksuits to a stylish outfit that stands out on your daily run or competitions. Shop for tights, t-shirts, sweatshirts, hoodies, windbreakers and more!